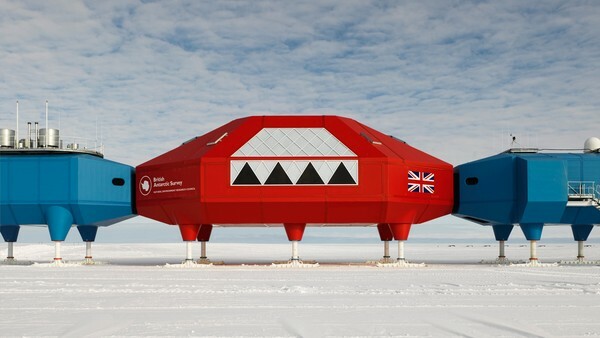 A British – South Korean consortium led by Samsung Construction and including Hugh Broughton Architects, Samoo Architects and Engineers and Galliford Try International have developed designs for the new Korean Antarctic Research Station, to be called Jang Bogo Station. This project, developed during the last few months of 2010, underlines further our extraordinary expertise in the design of research buildings for this unique, challenging and beautiful environment. 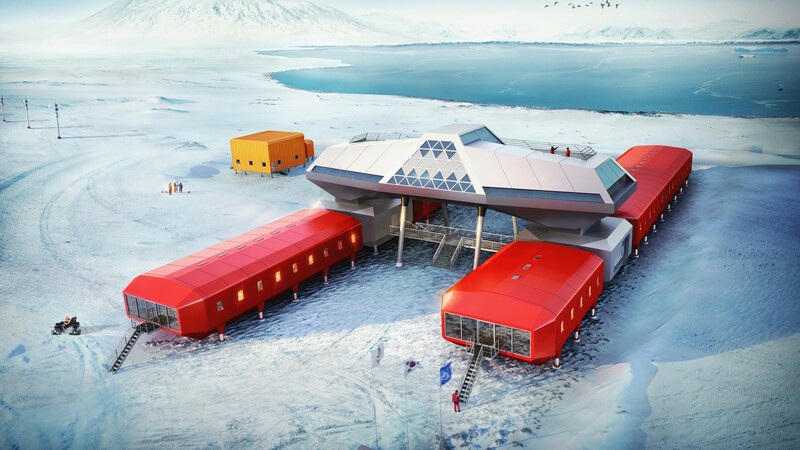 The new base has been designed for the Korean Polar Research Institute (KOPRI), for a site on Terra Nova Bay and will be the second Korean station in Antarctica. 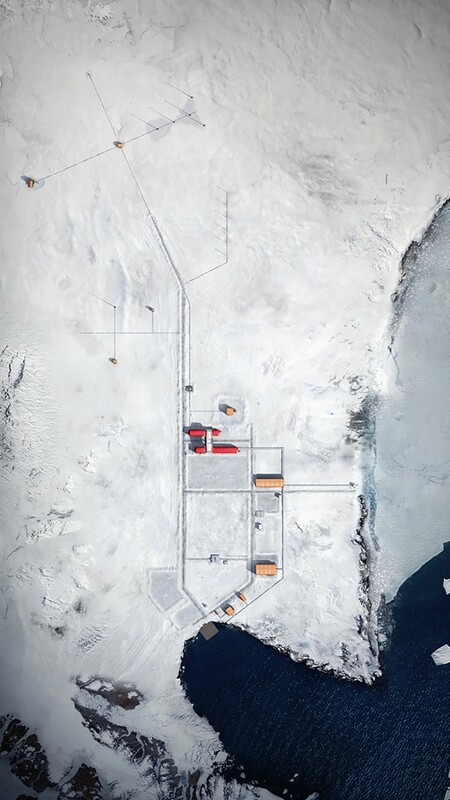 KOPRI’s other station, King Sejong, is on King George Island in the South Shetland Islands. 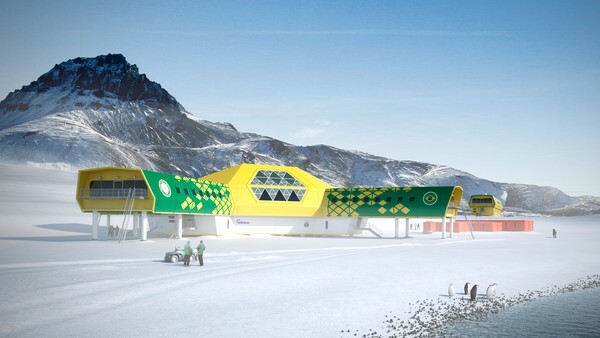 The new station has been designed to provide accommodation for 16 people in the winter and 60 in the summer. The exposed site is buffeted by strong wind, often exceeding 100mph with temperatures dropping as low as -35ºC. 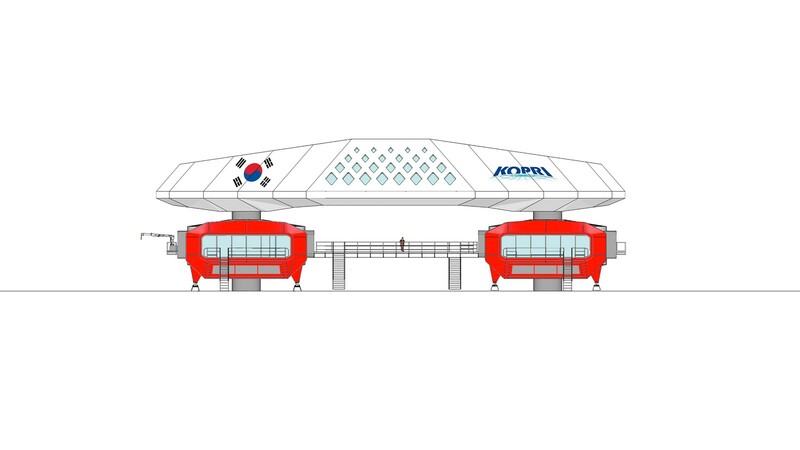 The Samsung led team has proposed a modular solution, which places sleeping and science space in parallel FRP-clad modules with a special social module spanning between. 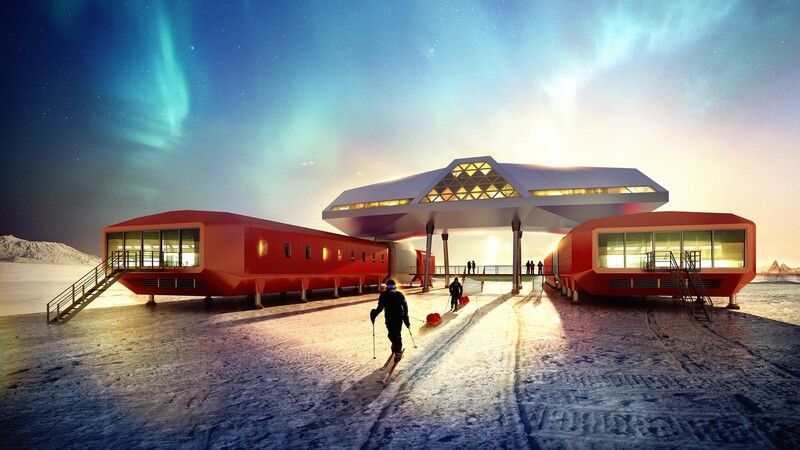 The design draws heavily upon traditional Korean architectural forms to create a gateway to Antarctic science. The forms and alignment of the station also respond to the prevailing westerly wind to minimise snow drifting and ease maintenance on site once the station is operational.